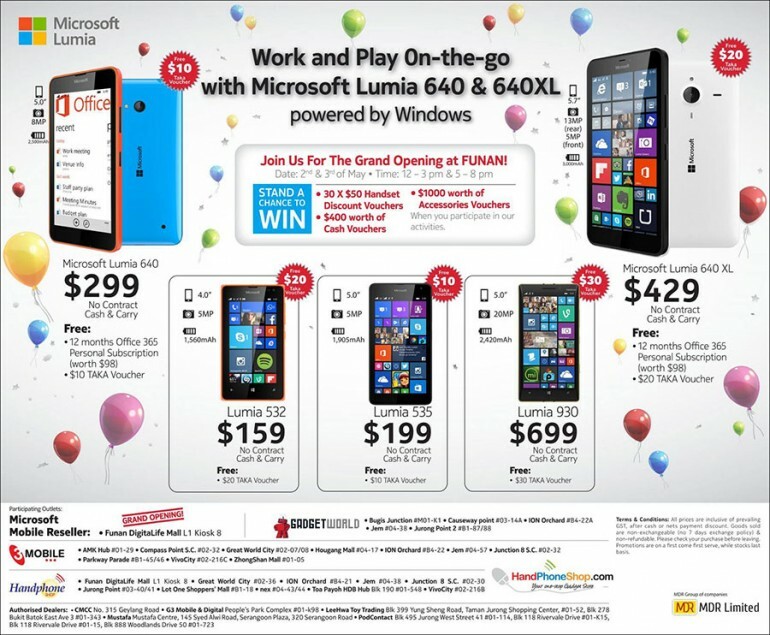 The launch of the First Microsoft Mobile Reseller (MMR) in Singapore at Funan DigitaLife Mall! This newly launched Microsoft Store will be the first in Singapore to offer an assortment of best-in-class Microsoft products, including Windows Phones, Feature Phones, Surface Pro 3, Xbox, Windows, Microsoft Office 365 and more. It will also offer an extensive line-up of Microsoft as well as third-party accessories to cater to different needs of Singaporean customers. The Microsoft Store will also have a Live Experience Table to showcase how consumers can truly enjoy seamless integration across multiple screens through Microsoft’s devices, apps and services. Spot-and-win gambit: Customers can take a selfie with the two Microsoft mascots, upload to their Instagram or Facebook with the hashtag #microsoftlumia. They can then show the photos to the promoters for a chance to participate in an exciting 10 second “grab all you can” challenge in the Wind Chamber. Expect an exciting weekend with emcee, IGGIE POP, and other exclusive Microsoft deals for patrons!